Sociologist, Author of "The Third Way"
The Third Way; Left or Right ... or What? 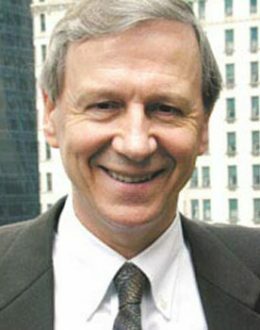 Anthony Giddens, Baron Giddens (born in 1938) is a British sociologist who is renowned for his theory of structuration and his holistic view of modern societies. He is considered to be one of the most prominent modern contributors in the field of sociology. The author of at least 34 books, published in at least 29 languages, issuing on average more than one book every year. He has been described as Britain’s best known social scientist since John Maynard Keynes. Three notable stages can be identified in his academic life. The first one involved outlining a new vision of what sociology is, presenting a theoretical and methodological understanding of that field, based on a critical reinterpretation of the classics. His major publications of that era include Capitalism and Modern Social Theory (1971) and New Rules of Sociological Method (1976). In the second stage Giddens developed the theory of structuration, an analysis of agency and structure, in which primacy is granted to neither. His works of that period, like Central Problems in Social Theory (1979) and The Constitution of Society (1984) brought him international fame on the sociological arena. The most recent stage concerns modernity, globalization and politics, especially the impact of modernity on social and personal life. This stage is reflected by his critique of postmodernity, and discussions of a new „utopian-realist” third way in politics, visible in the Consequence of Modernity (1990), Modernity and Self-Identity (1991), The Transformation of Intimacy (1992), Beyond Left and Right (1994) and The Third Way: The Renewal of Social Democracy (1998). Giddens’ ambition is both to recast social theory and to re-examine our understanding of the development and trajectory of modernity.